The Hungarian government's campaign highlighting MEPs and George Soros is making headlines once again. The head of the EPP group in the European Parliament Manfred Weber, was asked by Euronews correspondent Sandor Zsiros about the campaign, regretted that his face had not been added to the campaign, especially since he had voted to trigger Article 7 against Hungary. Manfred Weber, candidate for the position of President of the European Commission who voted in favour of the Sargentini report (which states that Hungary is at risk of breaching the EU's fundamental values) was speaking to Euronews about the Hungarian government's newest campaign against EU. 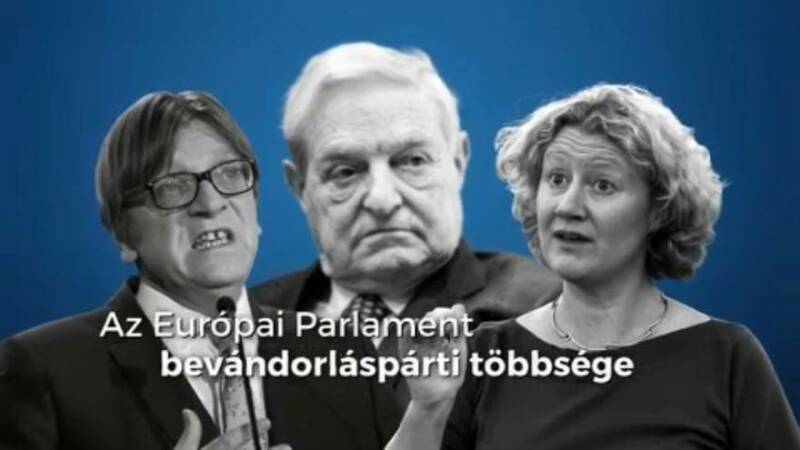 In this campaign they "mock" Judith Sargentini, George Soros businessman and Guy Verhofstadt.